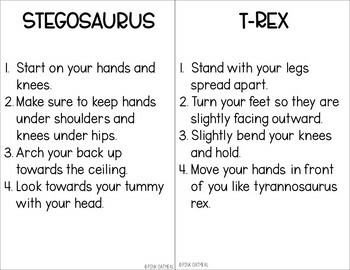 Dinosaur yoga poses usually work best when gone through as a group or individually at first in steps until students get good at knowing the poses. 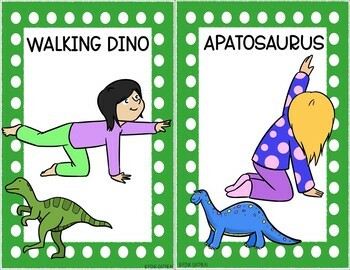 After kiddos get good at the yoga cards they can get into the poses by just having the pictures out for them to see! 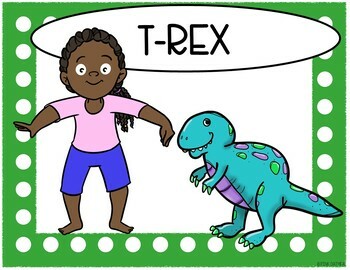 Anyone can use Dinosaur Yoga Cards and Printables! They are inclusive to all abilities and can be adapted as needed! They are great for use in the regular classroom, special education room, occupational/physical therapy and physical education. The yoga cards are a great for movement break during the day, use at circle time, morning meeting, free time or for use during stations. 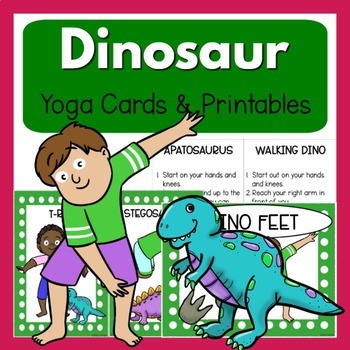 The yoga cards are fun for use during physical education or in group/individual physical and occupational therapy. The yoga cards are a great way to add simple movement into the day which we know is essential for learning and concentration! Use them with a dinosaur theme! Are you looking for something a little different than real kids in the poses? Don't worry we have you covered. . You can grab the same poses with a different presentation by clicking here The yoga cards have fun pictures of everyday objects and not pictures of kids in the yoga pose to describe the yoga pose with a description of how children can get in the yoga pose.